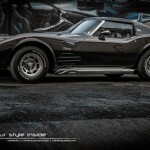 1976 Corvette Chevy by the Bulgarian Interior Designer Vilner! 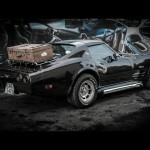 1976 Corvette is one of the best car on the planet. You cannot deny the deep impact that the fall of Communism had on every aspect of the world`s functioning. The Bulgarian interior designer Vilner should know this better than anybody else. His talent was about to go to waste, when he and couple of other talented guys decided to open their own fir about interior design and car decoration. He has been redecorating cars from all over the world. This time he decided to show us the Corvette he has been remodeling. 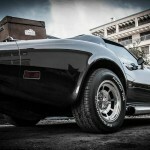 The 1976 Corvette has been engineered by the people who freed Europe, but enhanced by the Bulgarians. Vilner begun the modification by adding new carburetor, heads and camfshaft to the motor, which originally was a low-compression 350 smogger. After the modification has been done, the small-block motor now is pulling out the expected amount of power (around 300 horses). His choice for the base color was pearlscent brown, which is not exactly everybody`s choice. Nevertheless, in this case it has proven to be just the right shade. On the side, you can easily spot the twin blades placed over the stock vent. The lids have been covered in calf leather up above, which represent a true call for curious eyes to come and peak inside, where Vilner`s magic begins. The dashboard and the seats are covered in calf leather. 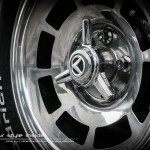 If you are a detail person you cannot miss the gauges fully modified in white new font. Vilner also included three-amp McIntosh sound system, which sounds amazing. We must not forget the laser engraving, since the inside was all about custom decoration. And the last but not the least thing is the Corian trim on the door panels, which gives a perfect finish to the incredible idea. 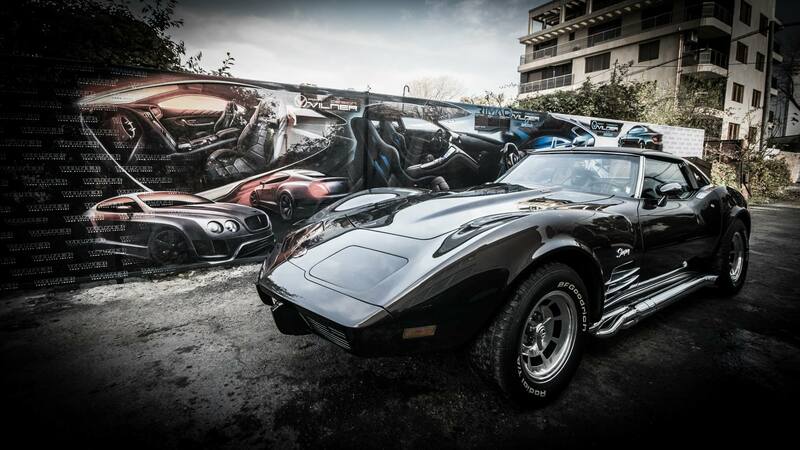 If you want to treat yourself, we offer you some amazing pics of the more amazing Corvette. 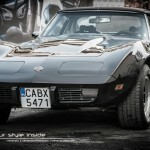 Finally, the most beautiful Corvette cruising the coast! Check it out on this link!